The X-Factor alumni singer returned to the charts with a amazingly catchy track that has everyone dancing. We catch up with the singer to chat about his latest single, returning to the reality TV show stage, working with pop producers DNA, news of his forthcoming album and the ideal date with the pop star. 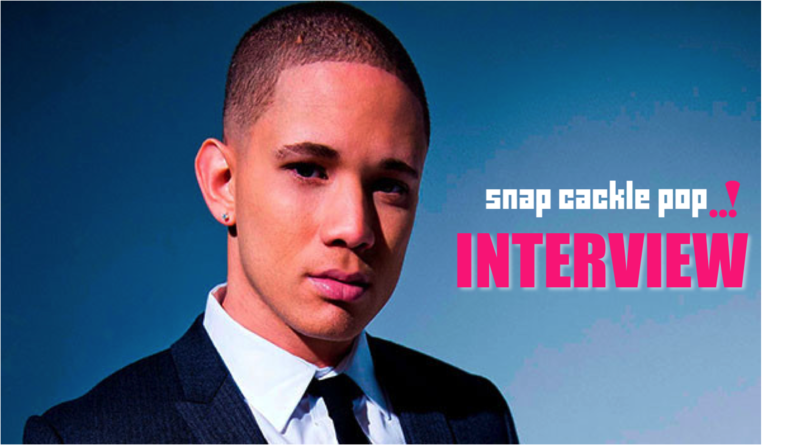 Its the SnapCacklePop interview with Nathaniel..! Firstly, how was it to be back on the X-Factor stage? Did you feel you were being judged by the panel again? Not at all! It was welcoming as ever. So you were promoting your new very catchy single Live Louder. Tell us about it. Yes! I’m so happy with how Live Louder turned out. This song is very different to my first 2 singles but i wanted to show another side of me as an artist! Its a simple call out to everyone to let go a little more, have fun with your life because you only get once chance. It samples The Jackson 5 Shake You're Body, are you a big fan? It’s very similar but not exact. The Jacksons were a big influence with this song as i’m a huge fan of Michael Jackson. How was it working with mega hit producers DNA? Those guys are like brothers to me now. We have a really good honest relationship that works. I love making music with them and i’ve learnt so much along the way. It's the third single to be released off your debut album, can you tell us when we can expect this album, we are eagerly waiting for? Hopefully before the end of the year. I’m so excited to share more music and show more depth as an artist! This album is EPIC! Do we have a name for the album yet you can exclusively reveal? Not yet but you’ll be sure to know soon. Variety. Very diverse and all the songs will be different. Songs of love, heartache and breakups, life and inspiration and simple story telling. And we will be seeing you on tour anytime soon? YES! I’m apart of Soulfest which is going to be an amazing festival of awesome aussie talent alongside Americas soul and rnb greats. What is the ideal date for Nathaniel? It needs to be relaxed and effortless. Max Brenner is a winner! Who do you have a celebrity crush on? If you had a celebrity dinner party who would you invite and why? Pharrell Williams because he creates amazing music and i’d pick away his brain on how he does it! If you had any super power what would it be an why? Flying! I would love to be able to see the sunset over the ocean and fly around the world whenever i want at super speeds! Your welcome. Pleasures all mine. Live Louder is available on iTunes now..!